The original line-up featured Hilly Michaels on drums and vocals, Roger on lead vocals and bass, and G.E. Smith on guitar. They released one LP in 1978. The mastering of this LP was done by Bob Ludwig. Trod Nossel Studios still has some copies of this release for sale. You can also find it available on eBay on a fairly regular basis. There is also a Japanese release that features the same cover art and track listing with the same mix, with a Japanese label and OBI. 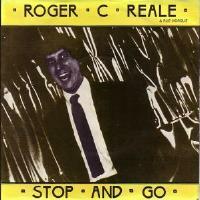 Roger C. Reale is somewhat of an enigma (e-nig'ma), n. a riddle. He is not a way of life nor has he captured the imagination of teenagers everywhere - he is not sought after and no one knows whether he has his fingers on the basic premis of "pop" music - he has no major chart successes to his credit nor has he smashed any attendance records. He leads a "Walter Mitty existence", but in reality and not in fantasy - only those who are close to his artistry know anything of his dual existence. 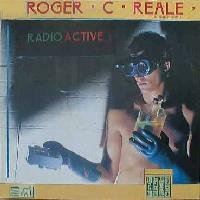 Now, at a time when there is an abundance of "labels" such as new wave, punk, southern rock, hard rock (& most recently) power pop being bandied around, Big Sound, via "RadioActive", welcomes you into both of the worlds of Roger C. Reale......the world of Rock & Roll. # - Michael Cavadini (of the B. Willie Smith band) plays piano on this track. Following the release of "Radioactive" G.E. Smith went out on tour with Dan Hartman who was touring in support of his big hit, "Instant Replay". He was replaced with Jimmy McAllister (Sparks, Beckies, Michael Brown). This new line-up played one gig at Hurrah's in NYC shortly after the release of the LP.